Question 4, one of the important decisions facing Massachusetts voters in the coming days, would open the door to legalization of marijuana in the state. The question is a complex and multifaceted issue that bridges several social and partisan divides. State government is almost unilaterally opposed to the proposition, including Republican Governor Charlie Baker and Democratic Mayor Marty Walsh. People from all walks of life are finding themselves supporting or opposing a question with fellow voters from equally diverse backgrounds and viewpoints. Opposition to or support of Question 4 isn’t necessarily equivalent to opposition to or support of marijuana. As a proposition, Question 4 is deeply flawed. So, too, is the path it would open to legalization. I’ll be voting no on Question 4 not out of spite for the drug or its users, but rather in the hope of a more responsible and measured path to legalization from the state legislature in the future. I’m impartial when it comes to the legalization of marijuana. I’ve never smoked it, and I never will. I’m generally opposed to mind-altering substances, even alcohol, but I cannot deny the right of fellow citizens to enjoy themselves as they see fit. 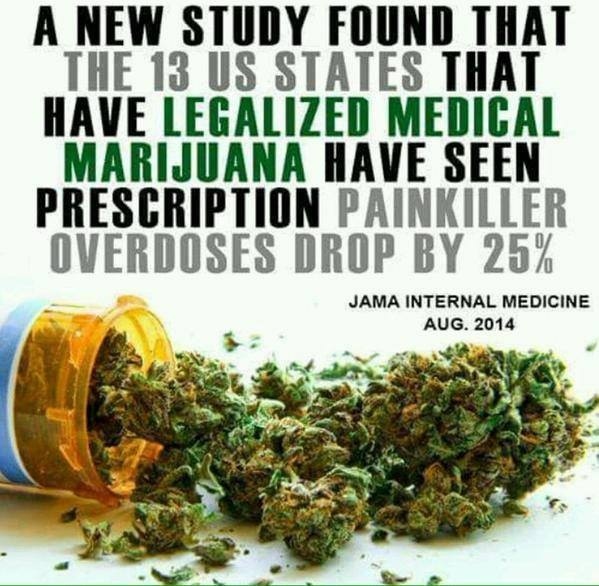 I would prefer that no one smoked marijuana, but I know that many do. And it seems evident that it should probably be within the rights of responsible adults to do so, however irksome to me personally. Supporting Question 4 on the principles of freedom and responsibility of choice was my intent, but after some research I don’t believe this ballot question presents the right path. Legalization at any cost isn’t the answer. Voters who turn out in favor of Question 4 without understanding the implications of the decision do a disservice to themselves and to the state. We cannot simply decide that marijuana should be legal without first considering the ramifications. Many suppose that legalization will be a boon to the state coffers, providing a steady stream of state revenue and getting illegal money off of our streets. This logic might support a cause I do not personally condone, but the revenue system that Question 4 would establish is woefully inadequate, with a tax almost one-tenth that of Washington State. A 3.75 percent tax on marijuana compared to other states like Washington (37 percent) and Colorado (30 percent) that have pursued legalization is almost comical. A tax that low would barely cover the cost of setting up regulatory infrastructure and the adaptive training needed for our law enforcement. We also need complex oversight of this transition to ensure a smooth process and to study the effects and potential fallout it might have. We need to ensure that regulations are being strictly followed and that the end of this prohibition is a positive change for society that helps to get drugs off the street, not put them in the hands of minors. Before the state sees any tax revenue, it will need to regulate the approximately 1,300 new businesses that are expected to spring up from the new industry. The onus will fall almost entirely on the state for this oversight since marijuana will still be illegal at the federal level. If Washington can get away with a 37 percent tax, surely we need to do better than 3.75 percent to offset all the costs that will come from legalization. But the economics of the issue isn’t the only problem with Question 4’s path to legalization. Question 4 would open up a legal gray area twice as convoluted as the state’s decriminalized system. If Question 4 passes, people 21 and older could legally possess marijuana as of Dec. 15—just a little over a month from the upcoming Nov. 8 vote, but marijuana can’t be legally sold for more than a full year later, on Jan. 1, 2018. It doesn’t take a legal expert to see what a cockamamie and unenforceable situation this contradiction represents. Question 4 would also leave a vestigial medical marijuana licensing system in place, needlessly redundant since any adult could legally purchase the drug. Residents will be limited to growing just six plants at home, but surely this restriction just adds another murky and unenforceable complication to the process. Simply put, the system that Question 4 would create contains more crossed wires and egregious faults than a condemned house. Selfishly, I don’t want marijuana to be legal. I don’t respect or condone its use, and I’d like to stay safe in my bubble, in which marijuana is at least culturally taboo to some extent, but I realize the impracticality and utter futility of this perspective. I have seen the devastating effects of alcoholism up close enough to make an educated guess that legalized marijuana will likely do no more harm to our society than the depressants already readily available on store shelves. Prohibition will be ended at some point whether I like it or not, and the most constructive thing I can do as a concerned citizen is to help choose a path that I believe will lead to the smoothest transition. Question 4 is not that path, and it is not the answer to the plea that marijuana proponents have been making for years. It is a way forward fraught with legal contradictions and economic risk. For those who think that this is their only chance at legalization and that the legislature will never consider it of their own volition, I urge you to have greater faith in your elected officials. They know that this is a pressing issue which requires their attention. Entrust them with the time to draft a plan toward legalization that is responsible and beneficial for all Massachusetts citizens. And, if they don’t act in due time, demonstrate your discontent with your votes and elect leaders who believe in making the issue a priority. Though I strongly oppose marijuana, I am amenable to legalization—just certainly not in the form of Question 4. I urge my fellow citizens not to give in to the selfish urge to legalize at all costs, but to truly consider the possible fallout of passing this ballot question and to decide if it is worthwhile in the end. So you prefer the system that drug gangs use? I’m fairly sure you just used a lot of words that all sound fairly rational to say, you don’t care how much harm the current system does, as long as you don’t need to see it. In every social justice movement there have always been well intentioned people like yourself, who were just too scared to lead. Do you suppose those who made it illegal in the 1930s applied your level of scrutiny to the consequences? Just how many lives they were going to ruin. Probably one of the dumbest moves in American history. Marijuana is a nonlethal and natural herb that competes with a government controlled property source in opium poppy plants guarded by US troops in Afghanistan supplying 90% of the WORLD’s opium; from which morphine, codeine, and heroin are direct derivatives therefrom and hundreds of other opioids are further derived by Big Pharma. Who is playing who here? Every year more than 27,000 Americans as reported by the CDC die from prescription opioids and heroin. With 80% of heroin addicts reportedly using prescription opioids prior to heroin. CDC reported marijuana lethal overdoses annually: ZERO. In addition to the Journal of Health reporting a 22% drop in prescriptions to opioids in states with legal marijuana, the below JAMA article is EVIDENCE IN FACT that marijuana competes with the government’s property revenue that is separate from the US taxpayer and provides an unjust enrichment to government off the prohibition of selective private property ownership by citizens. Such centralized planning and property control has and always will lead to one end, the corrupt tyranny of nations! Low prices can do what prohibition never could and never will – all but completely wipe out the black market, as the history of alcohol prohibition and re-legalization lucidly illustrates. Serving as yet another example of policy that wasn’t well thought out (despite – or more precisely, because of – having consulted with “the nation’s foremost public policy experts specializing in drug policy”), Washington’s taxes were designed from the beginning to hold the legal retail price at or above black-market levels in order to discourage “substance use disorder”. You know, like the reason coffee taxes are so high because of all the people who don’t feel right until they get their morning fix. Dang dirty hippies! But I digress. One unfortunate result of this foolish decision was to leave prohibition’s well-established artificial price-support system for the ubiquitous illicit market in place while providing it with a perverse increased incentive to focus effort on providing product to those who are too young to buy it legally. Washington responded (mostly to Oregon’s legalization and lower tax rate) by reducing its surcharge rate to the current 37%. Those who would regulate the private behavior of others, particularly in areas where they do not personally participate, always seem slow to learn that every action has an equal and opposite reaction. No doubt this sort of unintended consequence is not what the author had in mind when pushing for higher taxes, but he offers little support for his argument. The 3.7% he decries is a surcharge in addition to the regular state and local sales taxes paid by all retail businesses to offset the costs of regulation and the protection of law enforcement. Why should so much more be needed for marijuana? The author nebulously suggests “adaptive training for law enforcement”, “complex oversight of this transition to ensure a smooth process”, “to study the effects and potential fallout”, “ensure that regulations are being strictly followed and that the end of this prohibition is a positive change for society that helps to get drugs off the street, not put them in the hands of minors”. PUT them in the hands of minors??? You’re WAY too late – prohibition has been doing that since long before I was a minor 40 years ago. This article represents yet another data point in support of the hypothesis that cannabis inflicts its most devastating effects on those who do not use it. From a practical standpoint, the effects of marijuana are much less extreme than alcohol. Alcohol can directly kill a person, while the only deaths related to marijuana are incidents resulting from the person’s actual intoxication, which is also a risk with alcohol. Typically marijuana is also not addictive, and while there are exceptions the risk of addiction is much higher with alcohol. You said you are opposed to all drugs, “even alcohol,” implying that alcohol is an acceptable drug. That statement itself shows that your entire viewpoint on the subject is based on the norms of the mislead society. Traditionally, cannabis use has been deemed unacceptable by mainstream society due to mislead and inaccurate information about the effects and risks associated with it, developing a false stigma around weed use. This stigma is a major part of your argument, making it very difficult to take you seriously. The idea you raise about the route Question 4 takes to legalize marijuana as it relates to infrastructure and ease of acquiring weed is also mislead. Legalizing weed will not make it any easier or harder for minors to buy it. It will, however, make it less dangerous. While there will still be “drug dealers,” any minor with a decent fake ID will be able to go to a dispensary and know exactly what strain they are buying. When people have to buy weed illegally it is often very difficult to know what strain it is and what the THC concentration is. Finally, as it is now it is easier for minors to get alcohol than weed, and as I already mentioned, the short term effects of alcohol are much more dangerous than those of marijuana and the long term effects are comparable but less concrete. At BC kids get transported every weekend for alcohol related issues, but very few are injured by the effects of marijuana. The fact that federally alcohol is legal and marijuana is one of the most ridiculous contradictions within our legal system.